Our passionate, skilled staff features a network of top local pharmacists, service-oriented account managers, technology specialists, couriers, educators and more. At the center of it all is our dedicated leadership team. Behind every great organization is a passionate team of visionaries who recruit and train only the most dedicated and best-trained support system. Learn more about the people who lead the Skilled Care Pharmacy team. 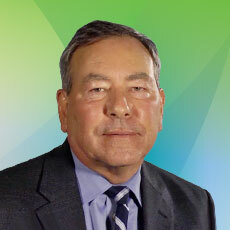 Larry is Skilled Care Pharmacy's founder and CEO. He also co-founded NetRx, a purchasing cooperative comprising owners of privately held pharmacies. Prior to starting Skilled Care Pharmacy, Larry managed a long-term care pharmacy in Cincinnati. Larry received his pharmacy degree at the University of Cincinnati. A leader in the long-term care industry throughout the region, Larry is a member of the American Society of Consultant Pharmacists and the National Council of Prescription Drug Plans. He is also an active participant in the Senior Care Pharmacy Alliance, the Kentucky Association of Health Care Facilities, The Association of Ohio Philanthropic Homes and Housing for the Aging, the American College of Nursing Home Administrators and the Assisted Living Association of America. Want to know more? See what Larry says about Skilled Care Pharmacy. 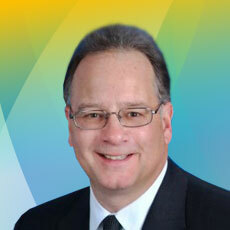 Joe has been an integral part of Skilled Care Pharmacy since 1996. His roles have included President of Beacon Skilled Care Phamacy, Director of Consutlant Pharmacists, Director of Clinical Pharmacists, Vice President of Pharmacy Services and in 2016 he accepted the position of President. His long career in pharmacy includes positions as a nuclear pharmacy manager for Pharmatopes/Syncor in Toledo and Dayton, staff pharmacist with Meijer Pharmacy and Fidelity Prescriptions. He also owned and operated Josephs Beacon Hills Pharmacy for 17 years, providing retail and long-term care services. The pharmacy eventually evolved to become a franchise, The Medicine Shoppe, while Joe brought his long-term care business into Skilled Care Pharmacy, forming Beacon Skilled Care Pharmacy. Joe is active in professional organizations, including the American Society of Consultant Pharmacists, the Ohio Pharmacists Association, NetRx, the Senior Care Pharmacy Alliance and he sits on the Advisory Board for the GPO, MHA. He is a graduate of Ohio Northern University with a BS in pharmacy. As Director of Information Technology, Garry Kelly oversees a comprehensive information management system, which includes order entry, medical records, accounting, communications and other vital IT functions, as well as software development. A graduate of Western Kentucky University with a BS in accounting, Garry has held a number of information management positions, including project manager for the Legal System Division of Business Equipment Company; accounting software customer service supervisor and accounting software training supervisor for Florists Transworld Delivery (FTD) and customer service and training coordinator for Datarose Systems, Inc.
Angela oversees the Pharmacists, Order Entry, Admissions, Upfront Processing, CII/Controlled Substances, Triage and Medical Records departments. 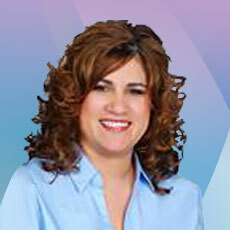 She has served as a long-term care pharmacist for over 25 years. She began her career as a staff pharmacist and then moved into a leadership role over a decade ago. Angela graduated from the University of Cincinnati. Jeff leads our operations team and oversees pharmaceutical purchasing and contracts. 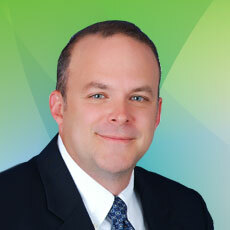 Prior to joining Skilled Care, Jeff worked in long-term care pharmacy with Pharmco, Inc. He was an integral part of their expansion effort, including multiple pharmacy start-up operations and acquisitions. 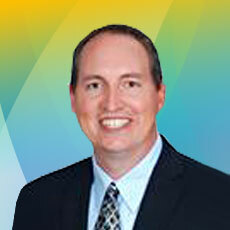 Jeff has extensive knowledge of the pharmacy industry across the Midwest, and in California and Florida. He attended the University of Cincinnati and holds a Six Sigma Green Belt Certification from Villanova University.